The news today that Volkswagen have taught three rescue dogs to drive or that Mini are releasing a Cooper T – powered by tea leaves or that BMW are introducing a G-Force simulator to their cars so you could drive slowly but feel like you’re driving fast can mean only one thing. 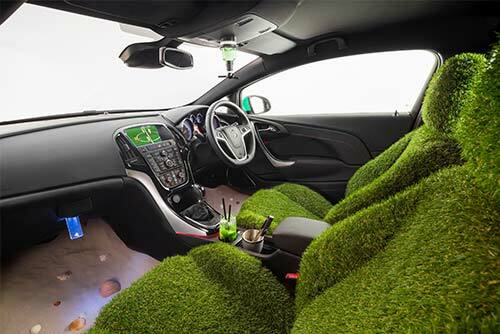 It must be April the 1st… Here are some of our favourite April Fools motoring stories. The RSPCA has partnered with Volkswagen Commercial Vehicles to teach rescue dogs to drive. The dogs, who sit upright on their haunches, were initially taught to steer using a wooden trolley pulled along with string. Mock car controls were then introduced before the dogs were trained to wear specially adapted safety harnesses and put behind the wheel of a 180PS four-wheel-drive (paw wheel drive?) Volkswagen Amarok. The animals then spent hours practising their driving skills while sitting alongside a human instructor with access to dual controls. To allow the dogs to drive the real Amarok pick-up, their front paws rest on the steering wheel and the gearstick while their rear paws rest on purpose-built extension levers which are then attached to the accelerator and brake pedals. Anna White, manager at the Southridge RSPCA centre, said: “We wanted to demonstrate how intelligent rescue animals can be. “All we have essentially done here is to train the dogs to execute ten sequential behaviours, albeit fairly complicated behaviours! The past few months have been a lot of fun, but there is a serious reason behind the training. Then there is a particularly fantastic disclaimer at the bottom of the story…. 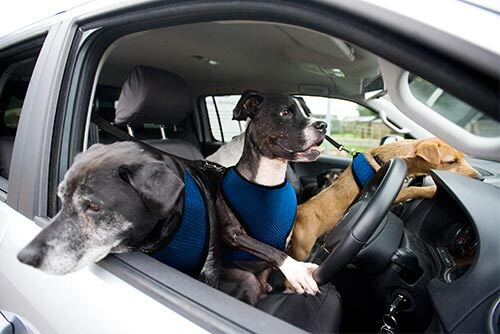 The dogs are never left in the cars, and, in warm weather, a human relief driver will step in for the special dog drivers to prevent them from overheating. (Humorously embargoed until April 1st!) Enhancing the company’s sustainability credentials, MINI’s scientists, engineers and product designers have unveiled the new MINI Cooper T – the world’s first vehicle to be powered by a tea-leaf biofuel composite. 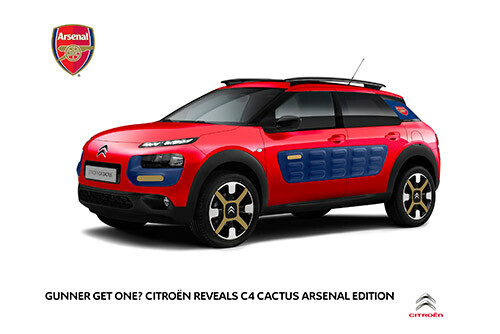 This revolutionary new model, which is available in a variety of colours including ‘Chamomile Yellow’, ‘Red Bush’ and ‘Earl Grey’, is expected to cause a real stir in the motor industry when it’s served up later this month. 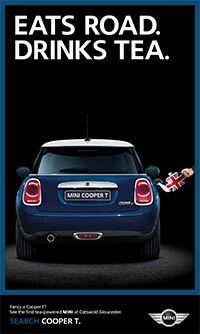 MINI customers in the Gloucestershire area can get a first taste of the Cooper T at MINI Cotswold Gloucester on 1 April, where the vehicle will be displayed. 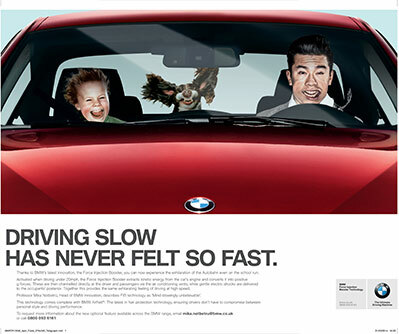 BMW looks set to change the face of motoring with the introduction of a patented artificial G-force technology. BMW’s new Force Injection Booster simulates the effects of spirited driving, even when commuting at slower speeds, to create a thrilling ride. When activated at speeds under 20mph, the Force Injection Booster (FIB) works by extracting kinetic energy from the car’s engine and converting it into positive g-forces. These are then channelled directly at the driver and passengers through the air conditioning vents, while a mild electric current is delivered through the front seats, to simulate the same exhilarating feeling of driving at high speed*. This technology comes complete with the BMW AirNet®, the latest in hair protection technology, to ensure that occupant’s don’t have to compromise between personal style and driving performance. Professor Mika Notbetrü, Head of BMW Innovation, describes FIB technology as “Mind-blowingly unbelievable”. The Force Injection Booster will be available across the BMW range from 1 April, 2014. From July 2014 production onwards, brand new Audio Sonic technology will be a standard feature across the entire Peugeot range. 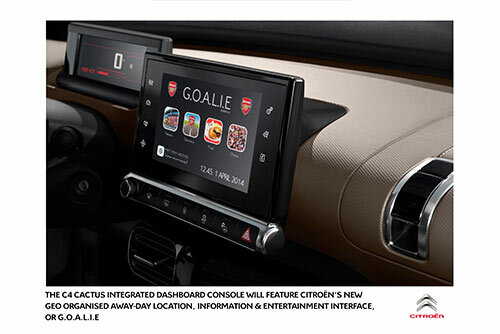 This state-of-the-art new technology allows customers to personalise their car horns to reflect their taste and character. Customers will be able to choose from an extensive library of sounds created at Peugeot’s new Audio Sonic Personalisation Centre. This library will be constantly updated in line with current trends in music, culture and lifestyle. For even more self-expression, customers can create and upload their own sounds, so that everyone can enjoy a truly individual horn, which they can change whenever they desire, just like changing a mobile ringtone. The UK’s road environments will lead the world sonically, offering a rainbow of sounds and audio experiences that will be envied the world over. 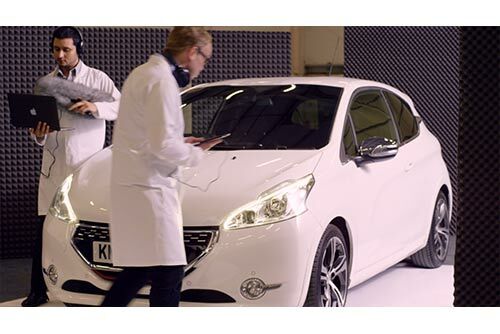 “Birdsong or Bach, Jazz Trumpet or Dubstep, the only limit will be our customers’ imaginations” commented Orvil Pondaiss, Peugeot’s New Head of Audio Sonic Personalisation, who tested the technology using sounds including his own four-year-old son laughing. 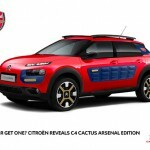 Then there were special editions from Skoda, Citroen and Vauxhall. 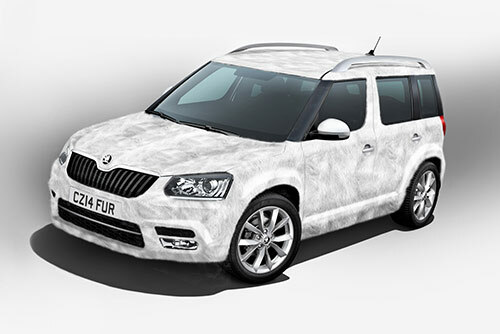 ŠKODA celebrated the launch of its new Yeti range with a remarkable new special edition – the Yeti Ice. On sale today (April 1st), the new model pioneers a radical new faux fur finish developed by ŠKODA engineers working in the Himalayas. 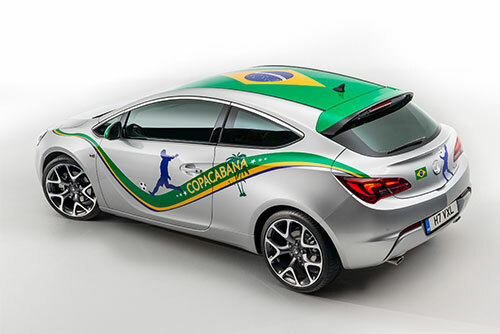 Vauxhall were also in a playful mood, getting ready for the 2014 World Cup in Brazil with the new Astra Copacabana. With a Brazilian flag on its roof, palm trees and dancing lines along its doors, the all-new Astra Copacabana is the epitome of pure South American emotion. Under the bonnet, its new 200PS 1.6 Turbo litre engine offers more drama than a penalty shoot-out, while acceleration from 0-60mph in just 2.6 seconds will press drivers into their seat-backs, which are upholstered from genuine Rio turf. 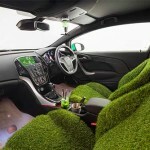 A masterpiece of craftsmanship, Vauxhall’s interior designers successfully processed original grass from the famous Maracanã Stadium. Every car comes with a certificate confirming the authenticity of the sacred greenery. Just as authentic are the footwells, which are filled with finest sand from the beach that gave this football-themed model its name. And to make sure that you’re really living the dream when you drive the Copacabana, each special edition comes with a handy pair of flip-flops in the glove compartment. Honda Racing announced that Pata Honda team riders Leon Haslam and Jonathan Rea would be handing over testing duties tomorrow for the third and final day of World Superbike championship testing at Jerez in Spain, to their respective young sons, both under 1 year old in an attempt to find the elusive speed gene. Finally, HPI announced they would be launching a new military grade lie detector function to their HPI Check App. The service draws on expertise from signal processing, voice biometrics, speech coding and pattern matching gives buyers the ability to reliably determine when a car seller is knowingly trying to deceive them (again this would be absolutely revolutionary…if it were true). As it’s past 12 o’ clock pm I guess we’re safe for another year now. Which is your favourite April Fools Day prank?